Are you the NJ hooded granny bandit (pictured) cops are looking for? 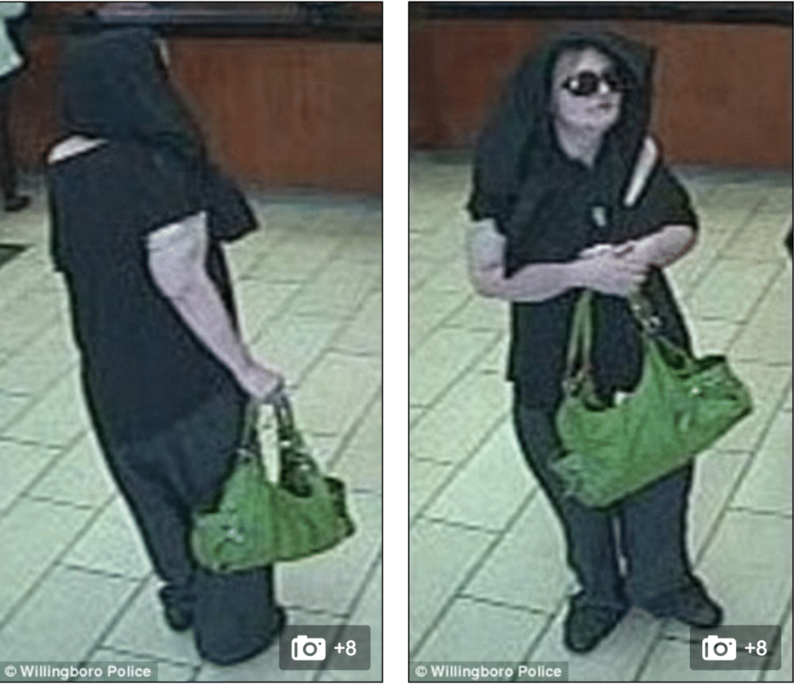 NJ hooded granny bandit: Who is the unidentified elderly woman who brazenly robbed three banks in just two days? Cops seek leads. 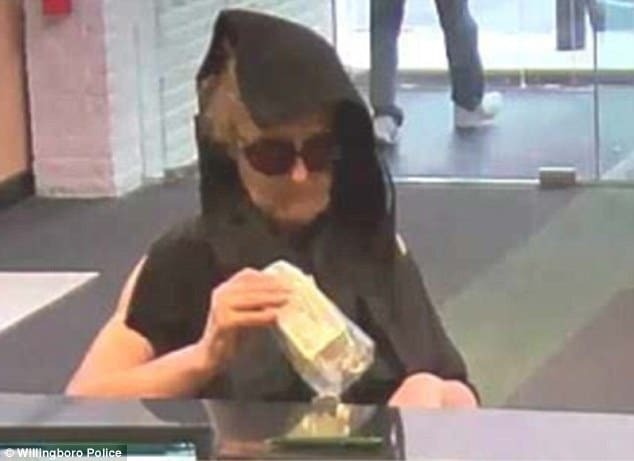 New Jersey police have told that they are on the hunt for an elderly woman who has held up no less than three banks during a two day crime spree over the weekend. Thought to be in her 60’s the NJ hooded granny bandit was filmed on surveillance camera walking into 3 different banks, each time handing over a note to tellers demanding cash. Dressed in black along with a ‘bizarrely’ draped scarf over her head, authorities don’t believe the hooded granny bandit is armed. That said the pensioner on each occasion was seen carrying a bright green handbag. Of question is what the brazen elderly woman may have held inside her purse? 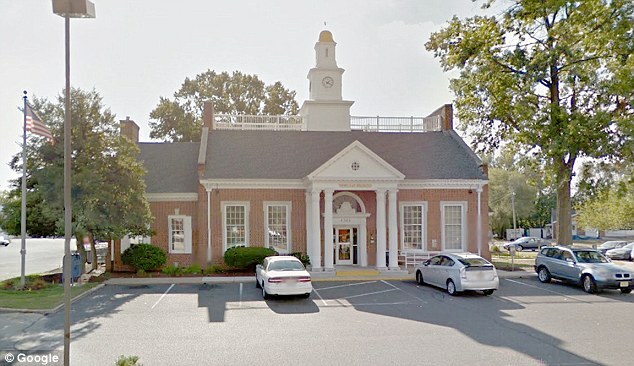 During her first robbery Friday morning at a Wells Fargo bank in Willingboro, a report via Fox 11 described how the unidentified pensioner ‘calmly’ walked into the branch and up to a counter with the scarf partially obscuring her face, where she then handed over a note to a teller. Soon after the 5ft 6 ins blonde pensioner was handed a wad of cash before leaving the bank. Upon receiving her loot, a report via fox29 told of the elderly woman leaving the bank and headed north on foot towards the Goodwill Store. 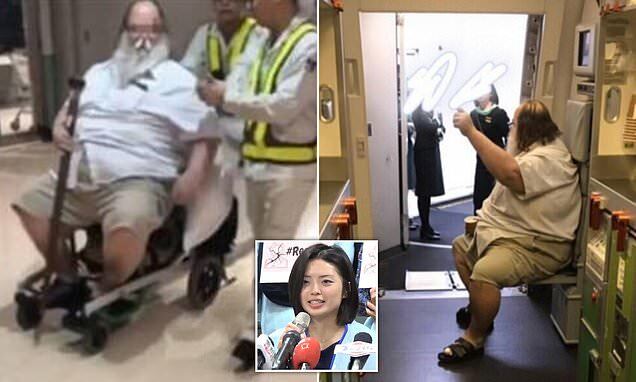 No weapon was seen and no one was injured. 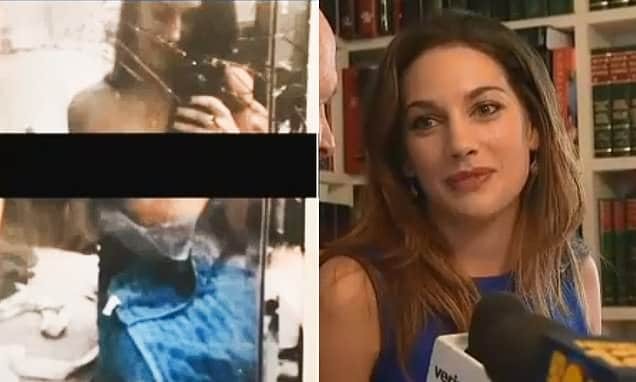 The whole thing would happen all over again, just a few hours, early evening in Hamilton at a TD Bank, some 17 miles away from the first robbery earlier that morning. 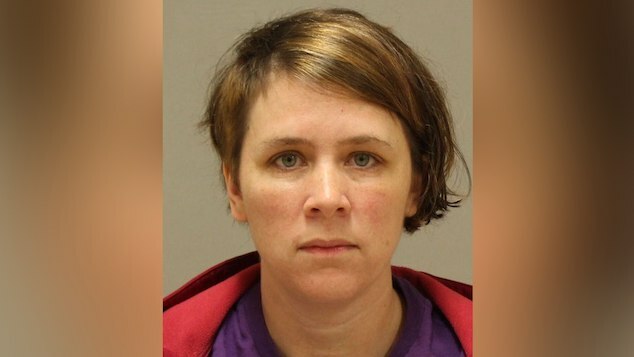 A woman of the same description and wearing similar clothes to the first robbery held up a third bank on Saturday. Yes kids, granny is on a mission. 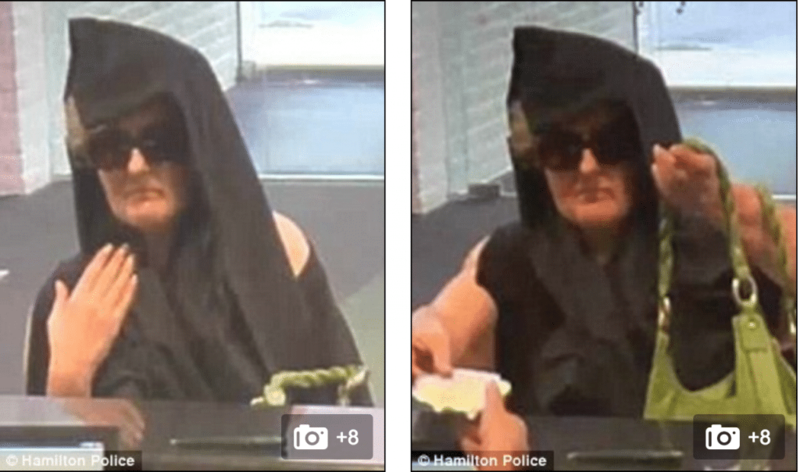 In that instance, the hooded granny bandit walked into a second TD Bank in Hamilton and again handed over a note telling the employee to give her cash. Wearing dark sunglasses and once again carrying a green handbag, authorities told that it did not appear that the woman had a weapon. Or did she? Police believe the three robberies are linked and are appealing for help tracking the suspect down. 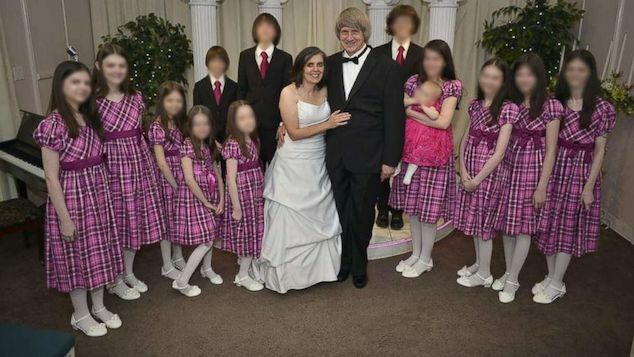 Cops said she may be driving an old black Honda Sedan. It is not known how much the woman has taken from each bank. Or necessarily for what purpose? 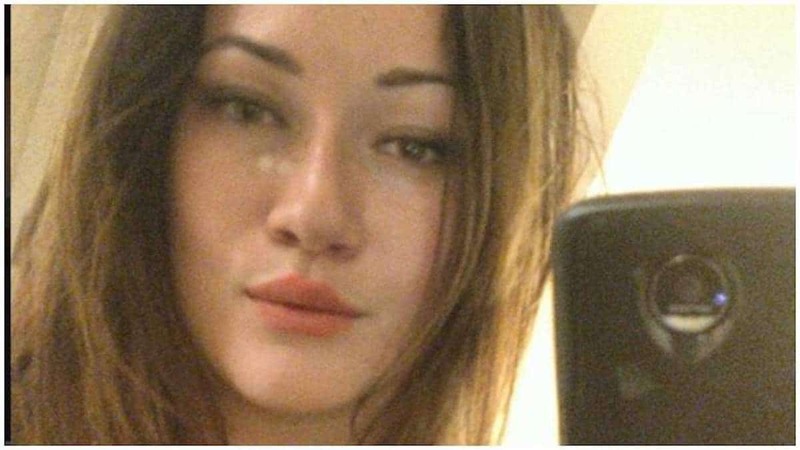 Anyone with information is urged to call Hamilton Police Division’s Criminal Investigations Section on 609-581-4030. 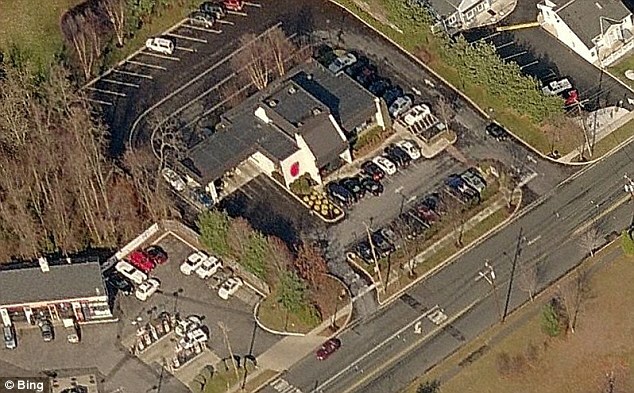 Target number one, Wells Fargo bank in Willingboro, NJ. Scene of second robbery Friday early evening at TD Bank, Hamilton. 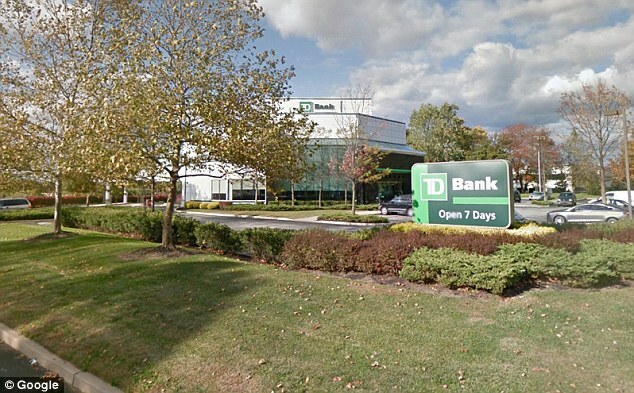 Second TD Bank branch in Hamilton, NJ which was robbed.